Monster High Jane Boolittle Dress Up Game. Jane is a friend with friends with the main Ghoulfriend's pets Watzit, Crescent, Count Fabulous, Hissette, Perseus, Shiver and Sir Hoots A Lot. Jane has a pet named Needles. Mattel requested the trademark for Jane Boolittle in 2013 and the same year Jane Boolittle's first doll was on display at San Diego Comic-Con International. 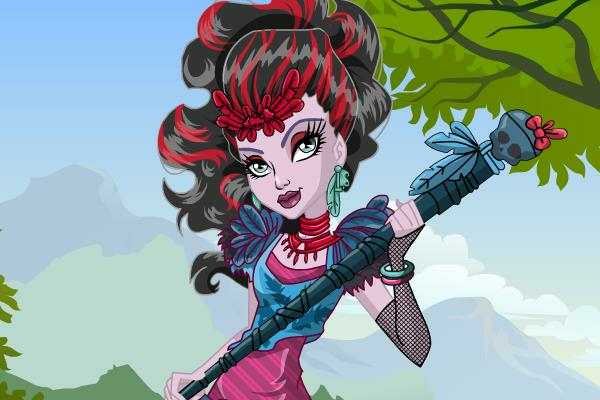 Go Play this Fun Online Monster High Girl Game for Free.